I have been reading stories all day long about what is happening in Israel and Palestine, what so many of us refer to as “The Holy Land.” It’s awful. Horrendous. Unspeakable. Tragic. There are so many words to describe what is happening to actual flesh-and-blood human beings in an exchange of bombs and missiles between people whose family histories can be traced back to the same beginnings. They are brothers and sisters, just as we are with them. I pray, I weep, I mourn. Some days I can’t do anything else. “How long, oh Lord?” is a constant thought. There are wars going on in lands where I have walked with my brothers and sisters in Christ and they are holy lands to me. Syria. Iraq. Lebanon. The same bone-shattering weapons are flung back and forth between people who have shared the land for centuries. Homes lost. Churches and mosques blown to bits. Cities flattened. A generation of children who, if they haven’t already been killed, will spend their early years in shattered shells of buildings and minds. It’s all so fragile and tonight all I can think of is the broken pieces. I wrote this poem after a visit to Lebanon when the only way I could visit the pastor I had met in Aleppo, Syria, in 2010 was to hear his voice on a phone. In that long ago summer – only four years ago! – we walked the streets of his city. We worshiped in his church. We saw the reconstruction of a high school for boys. We shopped for treasures in a souk whose aisles stretched into the eternity of the maze it was. I was looking for a set of the small cups and saucers that we were served coffee in everywhere we went. 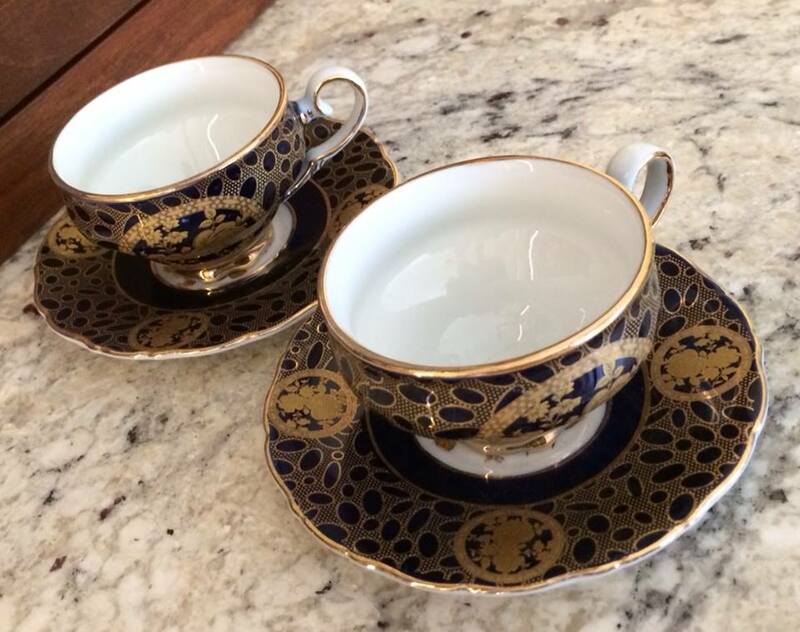 My shopping excursion paid off and I brought home a set of blue and gold china cups and saucers, which sit in my cupboard. Such fragile things, but they are a constant reminder of what has been lost. The church building has been destroyed. The school was bombed and ransacked. The ancient souk is no more. So many have died and the war continues. This is what war has cost. For each of us for all time. The love that conquers hate. Incredible words. I would say, use the cups and remember as you enjoy the coffee or tea or cocoa, the fellowship you had as you were served in similar cups so far away.